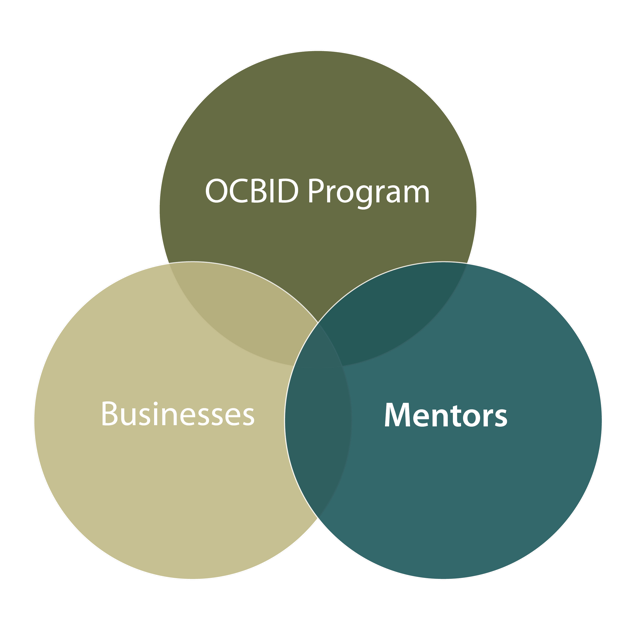 The Oconto County Business Innovation Development Program (OCBID) is designed to assist Oconto County businesses. Clients include early-stage, expanding and established businesses pursuing growth, sustainability, planned succession and/or business exit. 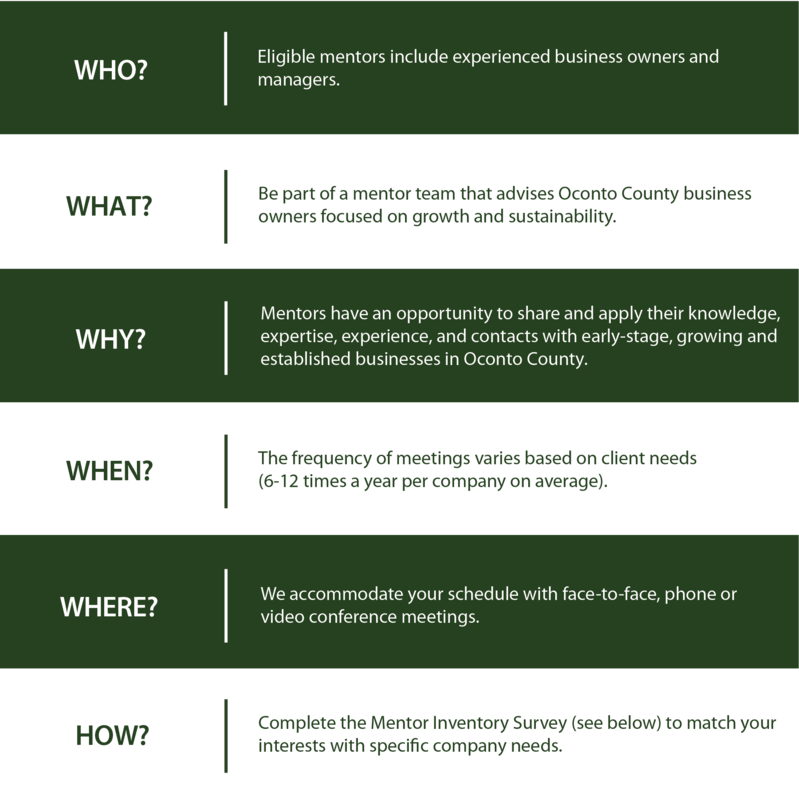 Mentors contribute by sharing their knowledge, expertise, experience, and contacts with Oconto County businesses participating in the OCBID program. If you have any additional questions or would like to learn more about the program, please contact Mike Mathews or Paul Ehrfurth.